Immigration Lawyer Jeff Goldman is a Northwest native with years of experience in immigration law and legal issues for immigrants or potential immigrants. His deep commitment to the concerns and problems of immigrants makes him especially committed to providing legal help for people needing an immigration lawyer or attorney. He is an experienced immigration attorney for filings and litigation involving the United States Citizenship and Immigration Services (USCIS), Customs and Border Protection (CPB), and Immigration Court (EOIR). Jeff feels strongly about his immigration cases, and believes in his clients and their causes. He feels and understands the human side of his client’s immigration cases, and as their immigration lawyer he fights hard for their rights. In his years of practice, he has obtained successful outcomes for hundreds of clients whether it is in bringing family members to the United States, fighting deportation, or criminal charges. 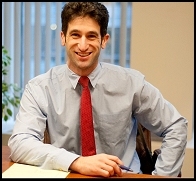 As an immigration attorney, Jeff Goldman is admitted to the New York State Bar, Washington State Bar, and the Ninth Circuit Court of Appeals. He has offices in both Tacoma and Seattle located within minutes from the Northwest Detention Center and the Seattle Immigration Court. Adjustment of Status – If you are currently in the United States and meet certain eligibility requirements, you may become a Lawful Permanent Resident (LPR). This process is called Adjustment of Status. Fiance Visa – The K-1 Fiance Visa permits a person to enter the United States to marry a US Citizen. If you are already married, you may not use this visa. You must marry your US Citizen fiance within 90 days of your arrival in the US. Spousal Visa – A U.S. Citizen may apply for his or her spouse to come to the United States as a Lawful Permanent Resident (LPR). Cancellation of Removal for Non-Permanent Residents – EOIR 42B – Cancellation of Removal is a form of relief available to those who are in proceedings in Immigration Court. Cancellation of Removal for Permanent Residents – EOIR 42A Cancellation of Removal is a form of relief available to those who are in proceedings in Immigration Court. Defensive Asylum – Asylum and Withholding of Removal are forms of relief available to those who qualify under protected grounds. This relief may be available to someone who has been persecuted or fears that they will be persecuted if returned to their country of nationality. Provisional Waiver – The I-601A Provisional Waiver allows certain immediate relatives of U.S. citizens to apply for a provisional waiver of the unlawful presence ground of inadmissibility while still in the United States if they can demonstrate that being separated from their U.S. citizen spouse or parent would cause that U.S. citizen relative “extreme hardship”. I-601 Waiver – If you are outside of the United States, you will need to wait until your embassy interview or shortly thereafter for the consular officer to tell you that you are inadmissible and need a waiver. You then file your form with United States Citizenship and Immigration Services (USCIS). USCIS will make a decision and inform the consular officer. U-Visa – If you have been the victim of a qualifying crime, have cooperated with law enforcement, and have suffered harm as a result of the crime, you may be eligible for a U Visa. Additionally, you may be able to include your family member in your U Visa application even if your family member was not a victim of the crime. If you are a lawful permanent resident and meet certain requirements, you may apply for US Citizenship. This process is called Naturalization.